I bet you are thinking the exact same thing that I was when I saw these in the store. I noticed right away that these look just like the Maybelline baby lips. But oddly, I think these are much more cuter. 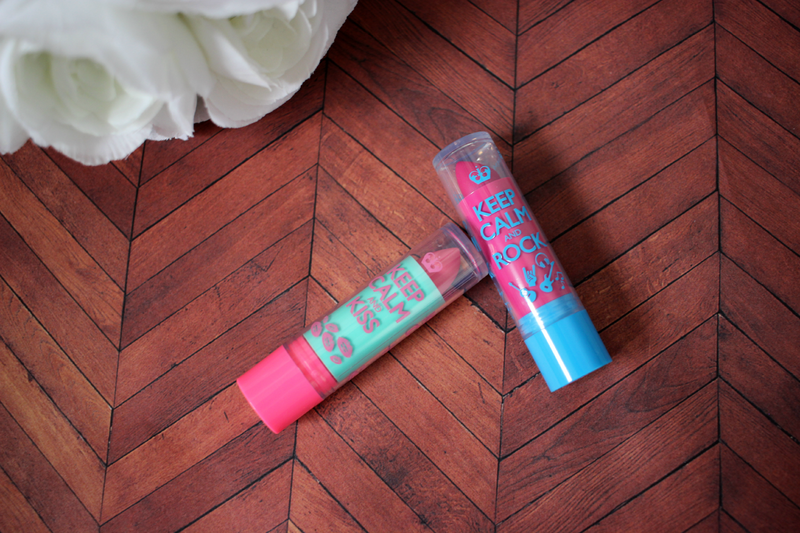 These are the new Rimmel London I Love My Lips, lip balm. Now I am not sure how new these are, but I do know they are new to the USA. I found mine at my local Walmart and they only had two left. I didn't see a display or anything, they were just found in two random spots in the makeup isle. 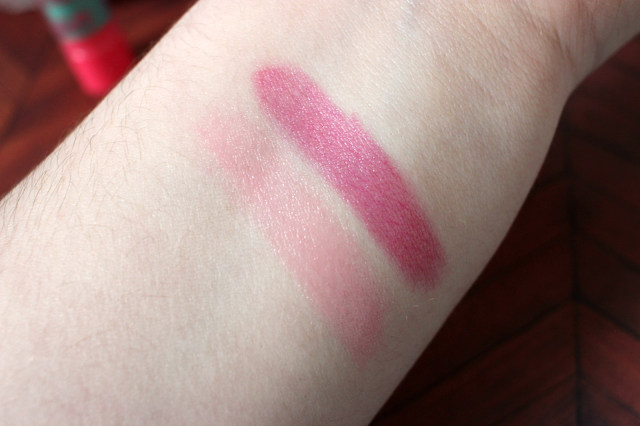 The two I purchased are in the shades Pink Blush and Berry Blush. Pink Blush is obviously the light pink one, and it says "Keep Calm and Kiss", I thought that was the cutest thing in the world. I also love the color combination. 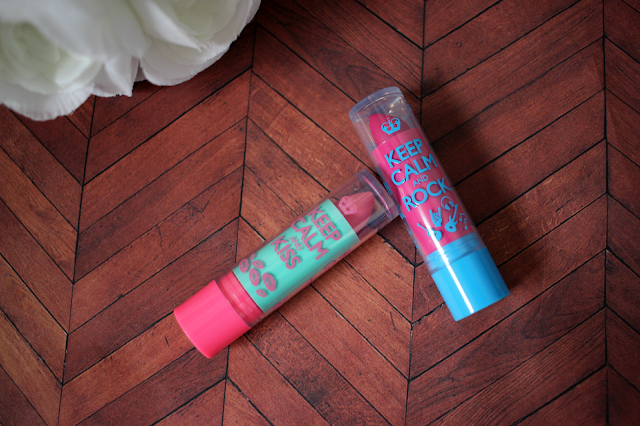 And on the Berry Blush it says "Keep Calm and Rock", which is also super adorable. The main difference between these and the Baby Lips, is that the balm is shaped like a actual lipstick. Which I actually enjoy better because its easier to apply. I also found these to be very moisturizing. 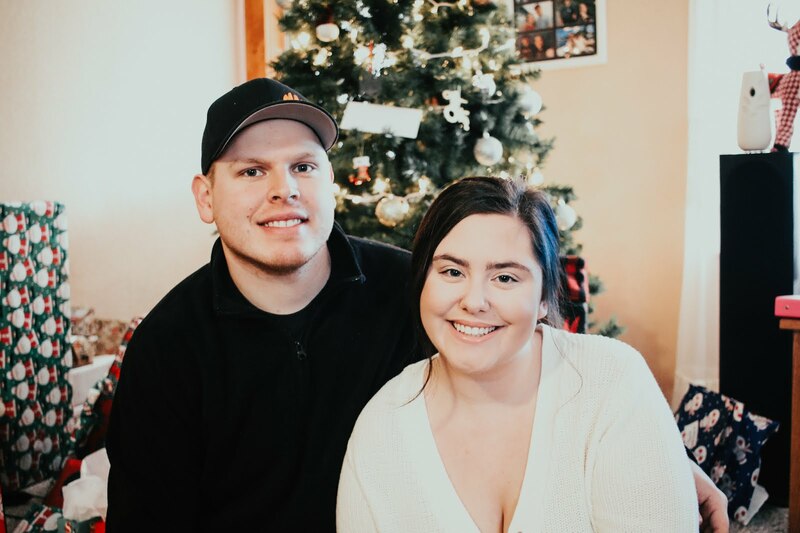 They do have a little tint to them. Which I like in a balm because if I am not in the mood to add a lipstick or gloss, it just as a little touch to the lips. I am not sure how soon these will show up in other stores, but I would check your local Walmart. 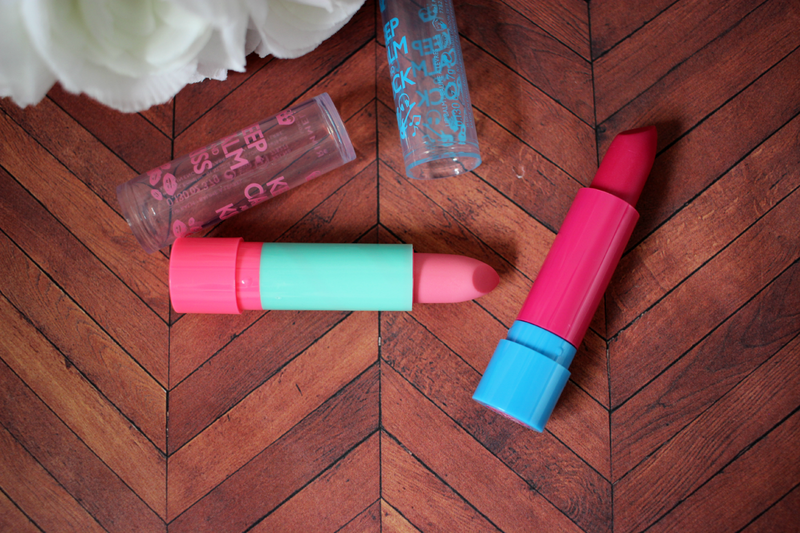 They were only $2.50, which I believe are a little bit cheaper then the Maybelline Baby Lips. I really hope I can find the other ones because I really enjoy these two. what a GREAT deal! I thought the maybelline ones were okay, but I can't wait to try out these!